In just two days, Chinese smartphone manufacturers graced us with as many new smartphones and they happen to have a lot more in common than their origin and intended markets (hint: the US is not part of them). Yesterday, Honor revealed the Magic 2, a phone with a 6.4-inch bezel-less (and notch-less) OLED display, a sliding front panel and a fingerprint sensor under the display. And today Lenovo revealed the Z5 Pro, a smartphone that has a 6.4-inch bezel-less AMOLED display, sliding front panel and a fingerprint sensor under... wait a minute! Now we’re getting flashbacks from a week ago when Xiaomi released its new smartphone with a 6.4-inch display and a sliding front panel. The Mi Mix 3’s fingerprint reader isn’t under the display, however. Now that we’ve acknowledged what's common between these three recent releases, let’s talk a bit about what separates the Lenovo Z5 Pro from its cousins. While the Magic 2 and the Mi Mix 3 have the latest top-of-the line chips from HiSilicon and Qualcomm respectively, the Z5 Pro is sporting the humbler Snapdragon 710 system-on-a-chip that’s paired with the respectable 6GB of RAM. Storage options are also more limited, either 64GB or 128GB. When it comes to the number of cameras, the Lenovo Z5 Pro can’t compete with the Magic 2’s six shooters. Instead, it has dual cameras on the back, 24MP and 16MP, provided by Sony, and boasting AI capabilities. On the front, you get a single 16MP sensor and an infrared camera used for face unlock. In the battery category, the Z5 Pro sits right between the Honor Magic 2 (3400mAh) and the Mi Mix 3 (3200mAh) with 3350mAh at your disposal. Unsurprisingly, there’s no headphone jack, but you get NFC, Bluetooth 5.0 and dual-SIM support. The speakers promise surround sound experience thanks to the Dolby Atmos support, so you can fully enjoy the content you're watching on the AMOLED display provided by Samsung. 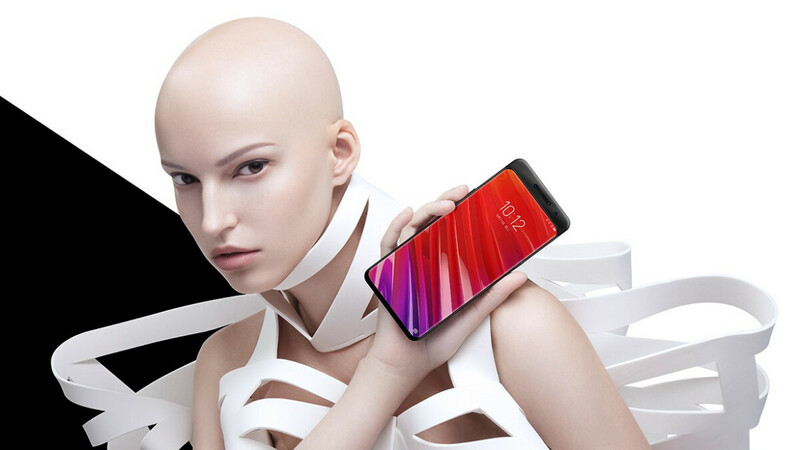 Lenovo Z5 Pro has one big advantage over its sliding competitors and that's the price: around $290 (in China) for the 64GB model. Pricing for the Honor Magic 2 is not out yet, but considering its flagship specs, it should be closer to the Mi Mix 3’s $475 price tag. Even if you do manage to get one despite the limited availability, using it in the States can be problematic due to the limited band support on the Lenovo Z5 Pro. Would you like to see slider phones in the States, or should this new trend stay beyond the oceans, let us know in the comments! 1-2 less millimeters on the chin and we would have a perfect bezel-less phone. Aesthetic-wise, zero chin looks good but fragile. Until the time engineers found ways to strengthen the design, I still prefer phones with sturdy bottom. One company has the patent for bezeless chin for connecting the screen at the bottom, otherwise it needs room to connect it. I like how other companies are trying to deviate from the huge notch trend though I am looking forward to samsung and asus' hole in the display design, I think that's the right approach in making front cam more subtle. Just a personal opinion. There is literally 0000 difference between the notch and hole in the display. Neither is convenient for an immersive viewing experience. Both are a pain in the eyes. Both are waste of screen space. Hole in the display will be more or less same as the waterdrop notch of OP6T bassed on dummy we saw. I think Slider designs are the best approach until we have UD Cameras. I'd prefer sliders over notch design any day. So... Where is the 4TB internal storage and 4 main camera? or “4 technological breakthroughs” and “18 patented technologies” that their VP talk about. Time to go bluetooth. Get some sonys that support ldac. Sounds really good.